I recently got in touch with Jamie Goode, a wine writer with a love for beer that I met on the St Stefanus trip, and asked if he'd mind writing a piece for this blog on "Wine for beer lovers". A sort of intro to good wine, aimed at a beer geek like me. Wine writers are giving craft beer plenty of column inches and I want to do the same, whilst expanding my own knowledge. I think Jamie's contribution goes above and beyond anything I could've hoped. It's such a good piece of informative writing that the thought of producing my promised reciprocal article "Beer for wine lovers" is now filling me with the fear of failure by inferiority. But I digress. There are two key influences on the flavour of wine: the grapes and the geography. Wine is made from the fruit of a single species of vine, Vitis vinifera, and this species comes in thousands of different varieties. Each variety has its own key flavour signature, and it’s now common to see the name of the grape variety (or varieties, in the case of blends) on the label. But there’s an interesting twist here: take the same variety and grow it in slightly different vineyards, and the wine will taste different, even if it is made the same way in the same cellar. These differences are caused by the soils, the aspect, the local climatic factors and the way the vines are trellised and maintained, and together these factors are referred to as terroir. Terroir – the differences in wine flavour caused by differences in vineyard sites – is the foundational principle of fine wine. This local flavour results in the bewildering diversity of wines available on the market today. This makes wine complex, but also tremendously interesting. The new world/old world divide needs mentioning here. It’s a geographical, psychological and cultural divide. In the old days, the fine wine world was simpler: it was all about the classic old world regions of Europe, such as Burgundy, Bordeaux, the Mosel, Piedmont and Champagne. Then along came the Australians and Californians with their sweetly fruited, warm climate, varietally labelled wines. They’ve since been joined by Chile, South Africa, New Zealand and Argentina. In general, new world wines are much easier to appreciate and enjoy, in contrast to their old world counterparts with complicated place names instead of grape varieties on the label. Now the lines are becoming a little blurred as the best new world wines are being taken more seriously, and the old world wines have modernised and responded to the market. But the divide still exists. So what are the other ways that wine differs from beer? First, because wine depends on a seasonal crop, it can only be made once a year. This makes it expensive: winery equipment stands unused for much of the year outside vintage time, and if a harvest is poor, less or lower quality wine is made. There is also a much bigger spread of prices for wine than there is for beer. A simple wine can be purchased for £5, a pretty good one for £10, a serious one for £15, but you can spend upwards of £50 for something famously good, and the celebrity bottles sell for £200 - £500 a pop. But price is a poor indicator of quality. It’s possible to spend quite a bit and end up with a mediocre bottle. Generally speaking, though, discovering the world of wine will set you back quite a bit. It’s a shame: in the course of my wine drinking career, the prices of top wines have risen significantly. The idea of bottle age is also something central to fine wine. Most serious wines need a bit of cellar time to show their best, and the top bottles can demand a decade before they’ll begin to show what they are capable of. The subject of the appropriate amount of age for each wine is one that generates a lot of discussion in the wine world. The vineyard is also central to fine wine. You can make bad wine from a good vineyard, but not good wine from a bad vineyard, no matter how talented you are in the cellar. 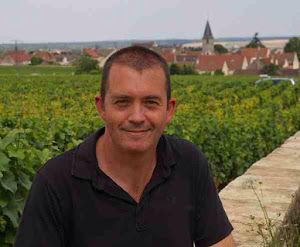 To produce a great bottle needs a great vineyard coupled with a skilled winemaker. A lot could be said here about what constitutes quality in wine. In brief, wine lovers like their wines to possess complexity and elegance. For inexpensive wines, clean fruity flavours are fine. But for more serious wines, we’re looking for complex flavours in addition to fruit. Particularly prized are the elusive qualities of harmony, elegance and minerality. Some people like power, concentration and richness in their wines, but increasingly critics are shunning the big in favour of the beautiful. Issues of wine style create a lot of discussion in wine circles! So how should you set about exploring the world of wine? The best way is to find a good independent wine merchant who can advise you, get to know your preferences, and sell you interesting wines. It’s helpful to attend tastings, too, to expose yourself to a wide range of wines. Read a bit: there are lots of excellent free resources on the web. Find critics whose palates match with yours (preferences do vary quite a bit). And I also find it interesting to explore one region at a time. I’ve only just scratched the surface here in attempting to introduce you to the varied and interesting world of wine. Starting on the path of wine appreciation sets you on a journey of discovery, and I find that the more I learn, the more I become aware of my ignorance. As a wine nerd with lots of beer geek friends, this is a fun article. 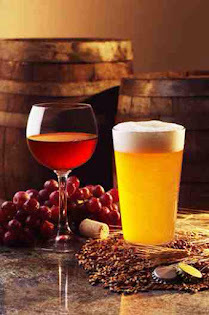 It was wine that actually started me on my journey into blogging and further exploration of beer. I used to write amateur reviews for wine I bought from a well known online retailer (NW), once I discovered how good beer could be it helped my transition & the blog was born. I do still like wine but rarely drink it, consequently I have quite a lot of wine around the house which brings me to a question for Jamie (anyone), how long will wine keep, that goes for red and white? A great article that wouldn't be out of place on any wine site. In answer to Filrd most wines up to £8-10 aren't really designed to last more than 2-3 years. Many reds will "hang on" a bit longer, but apart from a few of types(inc. Riesling & Semillon)drink up the whites! For (red) wines >£8 then you should typically get 3-5 years minimum, and some more, but there's so many different factors that you'd need to provide some specific wine information to get an accurate answer. Guest posting is one of the most popular content marketing tactics because it can help you grow your online audience. QualityGuestPosts can help you to achieve success.